Balance the scales of style wearing the Vivienne Westwood® Broken Pearl Earrings. Plated brass metal Gothic cross anchors with pearl and orb emblem drop detail. 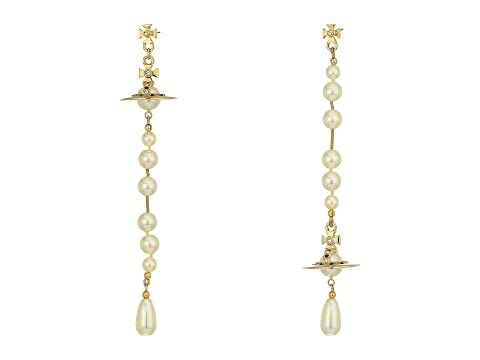 We can't currently find any similar items for the Broken Pearl Earrings by Vivienne Westwood. Sorry!